Eradicate annoying back, knee, or shoulder pain. Reduce the chance of injury! I am a qualified Biomechanics coach and sports massage therapist based in London within the South Woodford area and Marylebone. I first studied the field of biomechanics and sports therapy twelve years ago to enable me to know more about the body its movement and dysfunctions with an interest in increasing performance. What quickly became very apparent was the fact that a large majority of people were suffering from back, knee or shoulder pain and that biomechanics was the missing link in helping my clients to become pain free as well as helping to increase their performance in their chosen sport or daily life. into two areas of study, extrinsic and intrinsic Biomechanics. Intrinsic Biomechanics, on the other hand, is the study of how the body works mechanically during the performance of a movement or a task. This has major impact on how the body compensates during performance, movements and tasks. Often the body is merely compensating for intrinsic biomechanical faults during movements, the more we practice these movements the more we have to compensate, and so the risk of injury increases. This is often caused by lifestyle or even previous injury in one part of the body or joint. Dysfunction within our muscles around the pelvis for instance could often cause a leg length discrepancy which could cause the spine to compensate and lead to a dysfunctional core as well as resulting in back ,shoulder and knee pain along with muscle spasm leading to pain and muscle tightness. Once we begin to become normalised on a biomechanical level we begin to experience free range of movement, a core that functions, an increase in power and performance, with less chance of developing injuries while performing within your training or in daily activities, as well as in most cases becoming pain free. Biomechanic sessions can be performed separately or as part of personal training package. Whether you are for instance suffering from low grade back pain or want to get a very individual personal training plan, it truly is the missing link in becoming fit and pain free for whatever purpose. 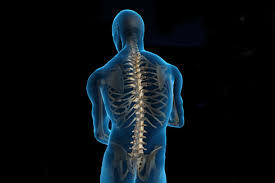 Through a system based on extensive research spanning 20 years working with the muscular skeletal and nervous systems, a corrective system of screens, releases and exercises are performed over time to bring the body back to natural normalised pain free movement by reducing nerve tethering, muscle spasm and joint dysfunction by correcting the dysfunction. This can be used in conjunction with sports massage therapy to help speed up the process. The performance of a sport is affected by many different factors. Your biomechanical function has a profound effect on your movement patterns and therefore in turn affecting your performance. Without going through a biomechanical screening and performing the corrective exercises you are more than likely performing with muscle , nerve and bone dysfunction. All the while becoming stronger in your dysfunction while increasing the chances of injury. By going through the screening process and corrective exercises you then allow your muscular skeletal and nervous system to become aligned and free to work which increases core function, speed, power and balance. Strength and Conditioning (S&C) has had something of a renaissance in the fitness industry in recent years. Clearly biomechanics plays a critical part in this type of training too. Irrespective of the type of training you perform, you need to be biomechanically prepared otherwise that training can cause injury or at least compromise your performance. There are many causes of injury ranging from poor technique, poor core strength, poor preparation, insufficient range of movement in the relevant structures and many others. 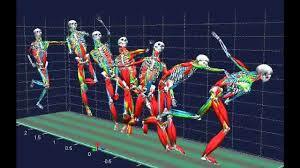 Your correct biomechanical function is also a critical factor, but is generally less understood. A biomechanical screen will highlight the flaws in your pelvic, shoulder and knee function, as well as check whether you have any low grade muscle spasm in the key muscles, which may be restricting both movement and the correct functioning of a joint. In addition a biomechanical screen will check your nervous system and highlight any problems that may cause your body to compensate and breakdown. For example a rotated pelvis is something that many of us have, but are not aware of. One of the results of this is what’s known as a functional leg length discrepancy. As the pelvis rotates forward, the ilium (pelvic bone) on that side can drop lower compared to the other side and make that leg appear longer . This can result in a variety of different injuries depending on how you compensate, it can cause lower back pain, knee pain , shin pain , hamstring injuries, even foot pain. Some people have been known to have upper back and shoulder problems from this too. By screening issues like pelvic rotation, the risk of many of these injuries can be significantly reduced. The solution is to perform tests to see whether the pelvis is working biomechanically correct. Once established there are a variety of corrective exercises that can performed to re-align the pelvis and encourage it to function correctly again. Massage was first used in the first Olympics Games by the Greeks and the Romans. The Greeks has a saying “Massage can never be fully appreciated by the common man” The common man to whom they referred to was not judged by wealth or social class but a man who lacked athletic grace. Regular sports massage therapy can help avoid overuse injuries and traumas. Massage should play a very important part in any athletes or recreational sports persons training program. Through massage we can help remove the build-up of general aches and pains that most sports persons seem to accept. Breaking down scar tissue is important as scar tissue can build up in soft tissue such as muscles, tendons, and ligaments and may be present as a result of past injuries and repeated micro-trauma. This build up could conceivably lead to tension and inflexibility. Deep tissue massage will help return normal tissue tension by breaking down scar tissue and adhesions. 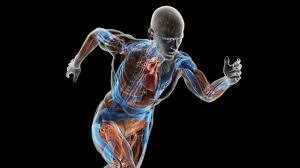 Sports massage induces a relaxation and works perfectly alongside the biomechanics screening and re-aligning process. The two can work hand in hand to speed up the process towards becoming pain free, with increased power speed and the ability to move more freely.